If you are new to the idea of developing SEO, then this article is for you because I will give you the basic SEO tips for beginners. SEO stands for search engine optimization and it is done with the goal of making your website to appear as the first website in search engine results. But why does SEO matter so much? When websites can develop great search engine optimization, they will be able to attract a bigger number of audience because more people only browse through search results on the first page. Being the number one result on the first page will be even more beneficial because that will most likely be the result that the audience go to. First simple tip that you need to understand is that SEO does not come in an instant. This is without a doubt a part of basic SEO tips for beginners because if you think SEO will work in just a day, then you better think twice about aiming for search engine optimization at all. SEO takes time to build up and it is a continuous and long term process. And it is not only the starting point that requires some time, but it is also in maintaining the position of number one result in search engines. There are so many things you can do to keep your top position, which is what we will get to discuss in the later paragraphs, but the first thing that you should understand is that SEO requires effort and time. Next, you must also create good content. You need content that is interesting, unique and is happening at the current moment to attract audience from all over the internet to want to visit your website. If you are no different than other websites and you offer the same articles as other websites that already have brand awareness among web surfers, then you will not be able to generate a strong amount of traffic. The key is in content that is worth reading and that people will want to give credit to, and also have the right keywords within them. A good content for SEO does not only talk about topic and the benefits that it offers to the readers, but it is also about structure and keywords. This is because keywords and structure are the things that will help push the position of the website in search engines. The last basic tip is to have a reliable web host. 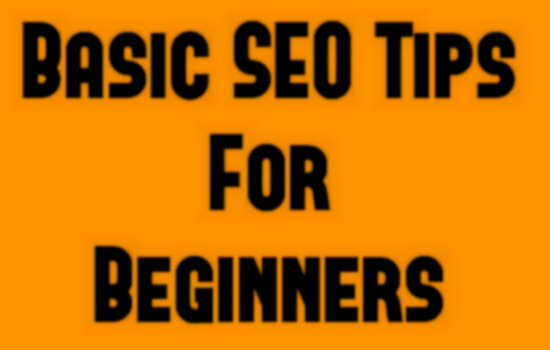 This is put as the third tip and not the first on basic SEO tips for beginners because you do not necessarily need a web host to set up a website. You can set up a blog for free and be concerned about SEO, but for beginners who decided to use a web host the need to make sure that your host is reliable in terms of quality of service that they offer. If your web host is slow and doesn’t have good record of uptime, this will bring a disadvantage to your SEO efforts, which is why giving careful consideration before choosing a web host is crucial for a successful SEO as well. There are many other factors which decides SEO of a Website Including these, If you want to rank higher in Search Engine Results follow webmaster guidelines, SEO practices, website speed etc. This article was written by Eero Nevaluoto, who himself is a beginner in Internet Marketing and Search Engine Optimization, but already within one year having ranked multiple websites #1 in major search engines. You may follow him via Twitter or KingfisherSEO.com. It’s a really good article for SEO seekers. you provide nice tips for beginner how to get more traffic from starting of a blog by doing SEO to his blog.You are not seems to new to SEO .Thanks for such a nice and valuable tips.Every newbie like me surely get valuable tips from hare. This tips are really very helpful for all SEO beginners and I think SEO takes time to build up and it is a continuous and long term process. First of all I want to say “Well Done” for this nice post , and if you don’t mind I would like to add an extra point ,which is “Search engine and reading images “. since search engine is used by customers who search for products or services, seeking useful and helpful information about it. you will find that images speaks much better than words in representing any product or service, but from an SEO point of view, Search engines can’t ‘read’ images and animations, so they need informative text “ rich text “. Give the search engines plenty of reading material. This is their food.